This beloved psalm’s beautiful lines feed and comfort our souls. But its greatest gift is that it offers what we all need-the secret to satisfaction in this life, and in the one to come-and promises what we can all experience-an intimate relationship with the loving Shepherd who fulfills the very longings of our souls. “Where are you looking for satisfaction? How will you know when you’ve found it? And when you think you’ve discovered the secret of satisfaction, will it last for eternity? “In the deepest recesses of our hearts and minds, there are hungers that cannot be satisfied by the things of this world. St. Augustine once said that we were created with a God-shaped void. I agree. Only God can meet the deepest longings of our hearts. Nothing can satisfy us apart from a personal relationship with Him…. 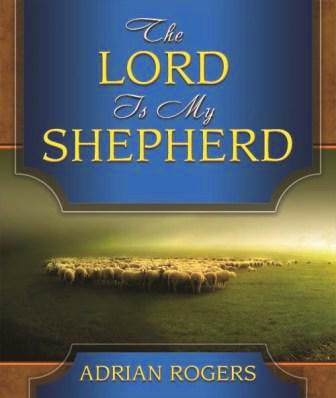 Published by Lifebooks, “The Lord is My Shepherd” by Adrian Rogers is now available in all branches of National Bookstore (under inspirational), Powerbooks, Philippine Christian Bookstore and Fully Booked nationwide. For more exciting titles, visit www.acts29pub.com, follow Lifebooks on Facebook (www.facebook.com/LifebooksPH), Twitter (www.twitter.com/LifebooksPub) and Instagram (www.instagram.com/lifebooks).